The higher a part of these kundan earrings consisting of white beads on an inexperienced shaded background has been assault a brass metal base with small gold plating. 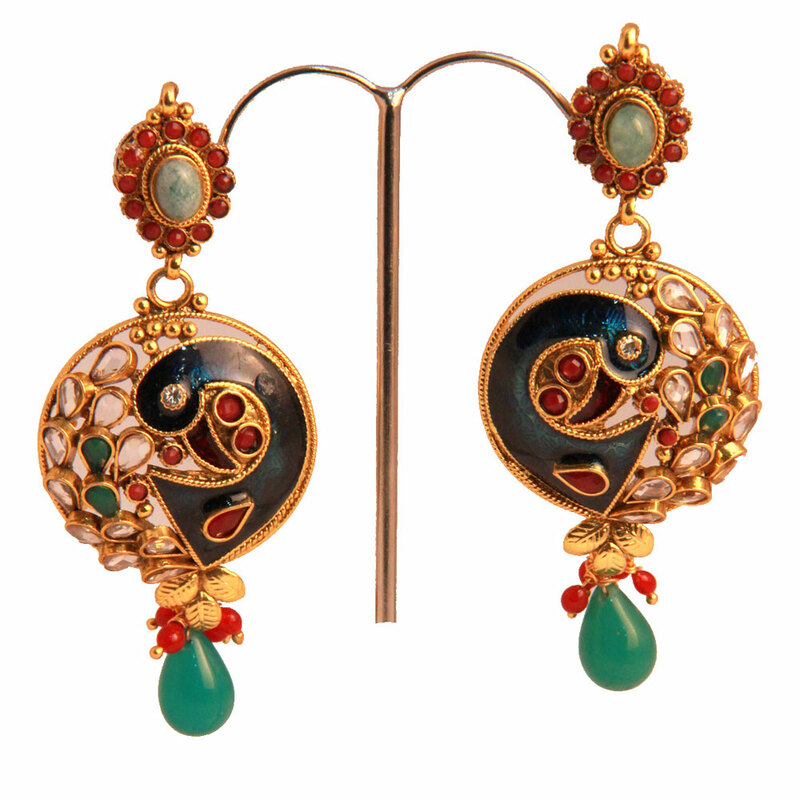 The upper part of these kundan earrings consisting of white beads on a green shaded background has been set on a brass metal base with Read More..micro gold plating. The red teardrop hangings dangling at the end feature small red beads at the top which add to the youthful look. Show Less..